Inserco are the Danfoss Premier Distributor for London and the South East. 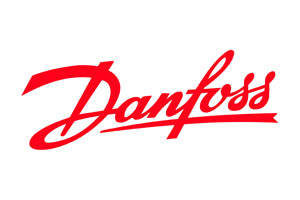 Inserco are the Danfoss Premier Distributor for London and the South East.Established for over 40 years Inserco Industrial (Controls) Ltd is proud to be a premier distributor for Industrial Automation Danfoss products. With specialist technical support we will find the Danfoss product to suit your needs. call our specialist Danfoss Department on 0845 6446601 or email sales@inserco.net. 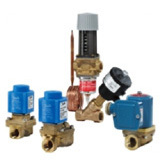 If you would like to search for a solenoid valve you can click on the Danfoss valve selector at the bottom of this page. The Danfoss IA Product Search will help you as installer or end-user to specify the correct industrial Danfoss Product for your application. The Danfoss Valve Selector will help you as installer or end-user to specify the correct industrial solenoid valve for your application. Danfoss valves are used in many applications, from petrol pumps to dry-cleaning machines, where valves are a crucial part of the design. By using our expert knowledge, we can identify the valve needed for your application. Where required we can modify the valves to meet your specification and where specifications don’t exist, we will help you make them! 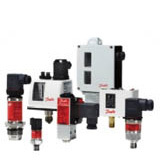 Danfoss has been producing pressure controls for industry applications for more than 50 years and today offers the widest range of any manufacturer. In addition to pressure switches and pressure transmitters, we also offer a comprehensive line of temperature sensors and transmitters. All are produced to exacting standards of quality in modern, ISO-certified manufacturing plants. Danfoss has been producing temperature controls for industry applications for more than 50 years and today offers the widest range of any manufacturer. 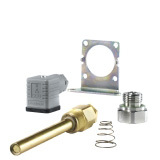 In addition to temperature switches and temperature transmitters, we also offer a comprehensive line of pressure sensors and transmitters. All are produced to exacting standards of quality in modern, ISO-certified manufacturing plants. 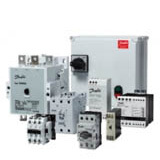 Danfoss CI-TI™contactors and motor starters provide trouble-free switching and maximum protection for your costly motors and other electrical equipment. The components are compact, easy to install and extremely reliable. They have been designed to meet our customers’ requirements, based on comprehensive application experience. More than sixty years of manufacturing experience ensure that our contactors and motor starters stand out with regards to quality and long life. 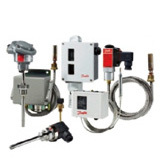 Danfoss can offer a vast range of accessories and spare parts for their Industrial Controls Equipment.